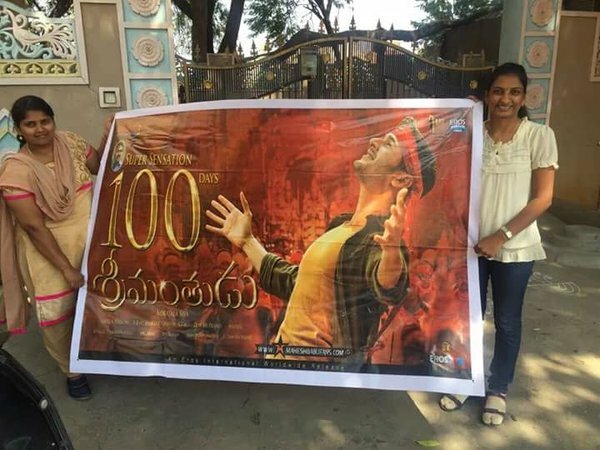 Srimanthudu Movie 100 Days Poster. 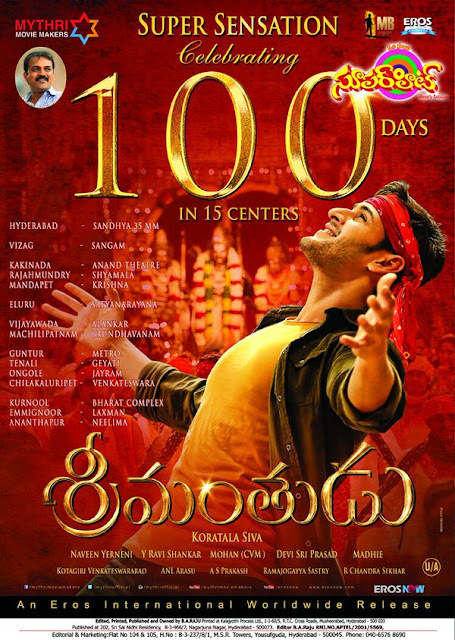 Its 100 days for Mahesh Babu starer Srimanthudu and its running at 15 centers on 100th day. That's a big achievement for a film these days. 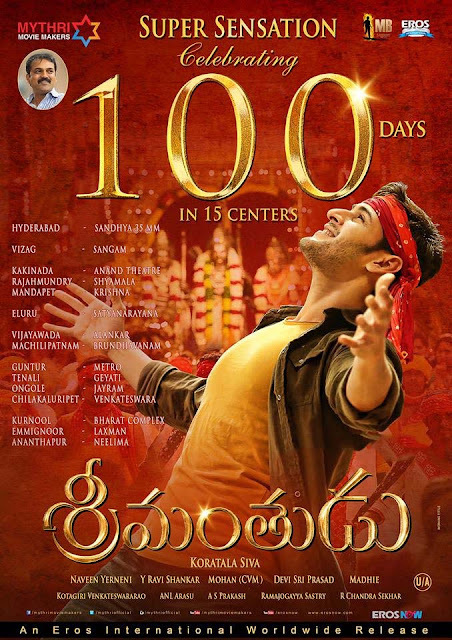 Mahesh is presently busy with Bramotsavam shooting and recently he was on a break to enjoy a Holiday with his family.